Prof. Dr. Yusuf Z. Menceloglu is faculty member in Faculty of Engineering and Natural Sciences (FENS) and Professor of Materials Science and Engineering program at Sabanci University in Istanbul, Turkey. He is a founder and partner of technology based startup companies and serves on the boards of associations and civic societies. 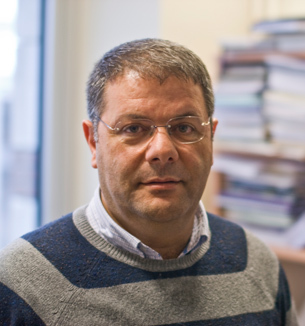 Prof. Menceloglu has been working in polymer science since 1984 and in nanoscience and nanotechnology since 1991. Prof. Menceloğlu is author or co-author of more than 100 peer reviewed papers/proceedings and four book chapters on polymers and nanosize materials. Inventor and co inventor of 35 patents. Prof. Menceloğlu has diverse research experience in nanosize materials, polymers, composites, and reactions/processesing in liquid/supercritical carbon dioxide. Prof. Menceloğlu has taught courses in polymeric materials, textile fibers and polymer science.